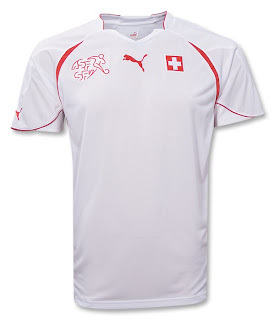 PUMA Switzerland Official Home/Away Soccer Jerseys! 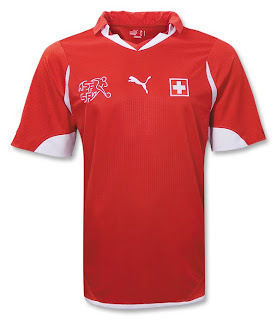 As with other recent PUMA jerseys, these new Switzerland jerseys look stylish, especially around their futuristic collars. In 2006, Switzerland never allowed a goal; it was therefore fitting that on October 2009, Switzerland booked their place at the 2010 World Cup finals with a goalless draw against Israel at St Jacob stadium in Basel!